What is the best purchase you’ve ever made? Crikey, too wide for a Thursday morning? Ok. Best item of clothing you have ever bought. It could be that dress that lasted you through weddings and 21sts and you’re now wearing to 50ths… or those jeans you wished you’d bought three pairs of once you had them worn in and comfy. It is wearing thin in the front (where I carry the eggs usually) and around the pocket (carrier of torch and pocket knife). It is an extra large (I ate for two) and now drapes quite easily over whatever I happen to be wearing at the time so I can run out to do farm chores or unexpected jobs at awkward times. It is especially great for carrying firewood which leaves all manner of crap on your clothes. 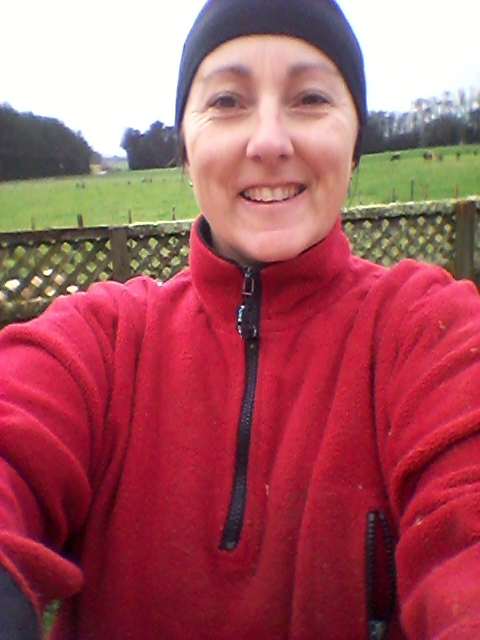 My second favourite item at the moment, although it has only been worn this winter, is my new wee merino beanie (also pictured above). Daughter says it looks like I have lost all my hair underneath it. But boy is it warm. Thomas uses his on the bike to stop the sweat dripping into his eyes (sheez that stings!) I would wear mine to the gym but I keep thinking of Sarah’s comment lol. I have shifted the break for the cattle, given the pigs some squash (and the pet sheep, which like it too!) put the chooks away (we were too late home last night, poor buggers), gone down to inspect whether this week’s easterly has done any damage to the stream banks (minor) and filled the wood basket. Hope Son appreciates that when he gets home as it is his chore! Emptied 87mm out of the rain gauge. 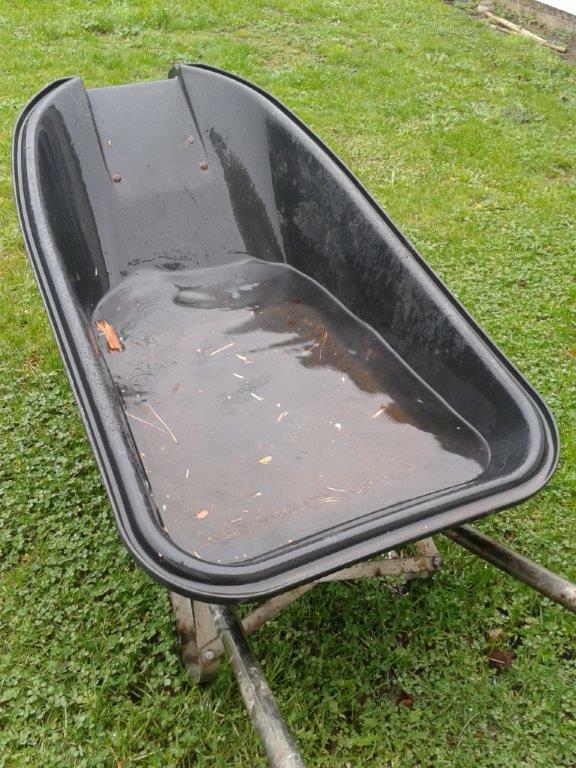 You know you’ve had a bit of rain when the wood wheelbarrow looks like this!